A beautiful pair of Modernist custom made 14-18kt. 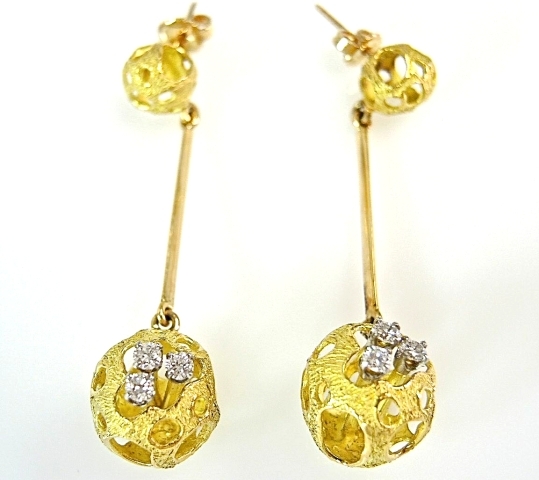 yellow gold openwork textured spherical drop earrings with 6 claw-set round brilliant cut diamonds, est. 0.48ct. (clarity: VS & H-I colour). There is a similar styled brooch, see JBrD79124.